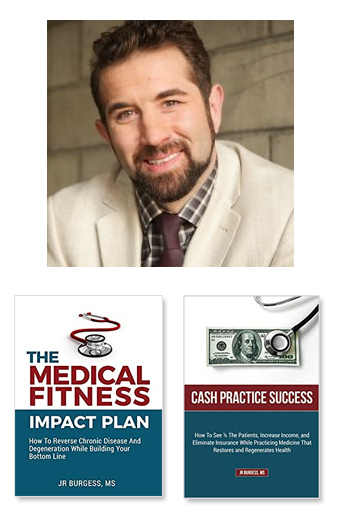 J.R. is the CEO of Rejuv Medical, Co-Founder of MedFit and HealthOvators. With his business partners, J.R. is innovating healthcare with a model that prevents, reverses or better manages chronic pain and disease while supporting physicians to achieve these transformations profitability through business. Their revolutionary regenerative health care model includes non-surgical orthopedics, functional primary care and medical fitness. Medical fitness has proven to be the difference in their healthcare model and the main driver of successful clinical outcomes. Now replicated in clinics and wellness centers around the world, JR is coaching and empowering medial leaders and patients to co-create regenerative health together and positively impact the world.